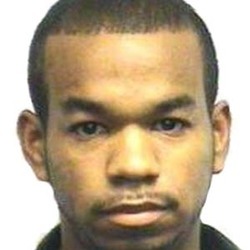 Miguel Espinal, 36 and unarmed, was shot and killed by a uniformed New York City police officer on Tuesday, December 8, 2015 after a car chase that began in the Bronx ended with a foot pursuit and a confrontation in a wooded area of Yonkers just off the Saw Mill River Parkway, the authorities said. The police chase began shortly before noon, when two officers from the 50th Precinct in the Bronx, on patrol in a marked car, saw a gray 2009 Nissan Z driving erratically and began to follow it. The officers tried to pull the car over at 242nd Street and Broadway; instead it was driven off at high speed, officials said. The officers followed the car but lost sight of it on the parkway, just over the border in Westchester County. When they spotted the Nissan again, it was coming back toward them, going against traffic and heading southbound on the northbound side of the roadway, the officials said. It passed them, they said, then crashed into a median and three other vehicles a short distance away. At that point, the officials said, Mr. Espinal climbed out the window, crossed three lanes of traffic, jumped a guardrail and fled on foot into the woods of Tibbetts Brook Park, as the officers circled back in their car. A law enforcement official said the shooting took place after a confrontation roughly 75 feet from where the Nissan crashed, down a steep rock embankment in a wooded gully. It was not immediately clear which of the two officers — identified by officials as Garthlette James and Romeo Francis — fired. Mr. Espinal was pronounced dead at the scene.